MEDICARE REIMBURSEMENT CHANGES, THERE’S AN APP FOR THAT! 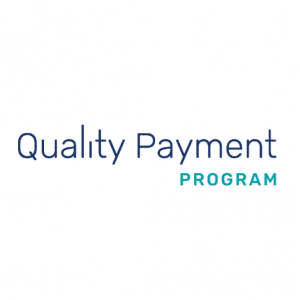 The Quality Payment Program is underway for practices participating in Medicare and the goal is to provide patients with the best care possible. Clinicians familiar with Medicare reimbursement are likely familiar with the key components (meaningful use, physician quality reporting, and value modifier) which are being combined within the main branch of this program (Merit-Based Incentive Payment System – MIPS). This transition toward more value based care has negative payment adjustments for those who don’t participate and varying positive claims adjustments based on how well practices achieve the following components: Quality, Cost, Improvement Activities, and Advancing Care Information. But, what about the time, effort, and money necessary to achieve this? One 2016 study estimated over $15.4 billion dollars is spent annually by physician practices to report quality measures to external entities. (1) Over 15 hours of staff time per physician per week is spent dealing with these measures, with the vast majority of that time being spent entering information. Data extraction was established as one of the major themes burdening providers with a distinct need for easy yet accurate ways to report data from EHRs. Another study looking at physicians in the ambulatory care setting found almost half of the office day was spent on EHR and desk work with only 27% of their day being direct clinical face time with the patients. (2) Additionally, physicians reported 1-2 hours of daily after-hours work. For physician practices, improving efficiency in these areas can mean: improved job satisfaction, more time with current patients, more patients, and with MIPS better reimbursements. However, for the best performance each practice would benefit from personalized approach to practice needs, workflow, specialty metrics, and unique burdens. Epic (EHR) is already following in the footsteps of Apple to provide community members with access to a marketplace of applications (App Orchard) to improve the EHR platform. Collaborating with outside developers allows physicians to have increased access to curated, integrated, and simplified digital tools to improve their practice and care delivery. Navigating the landscape of available tools or new payment system changes could prove to be overwhelming. Focus on what’s beneficial for your practice, what’s important for your patients, and what makes sense while striving to deliver the best evidence based care. Jonathan Blackwood, MD is the Director of Business Development at cliexa. 1. Casalino LP, Gans D, Weber R, et al. US Physician Practices Spend More Than $15.4 Billion Annually To Report Quality Measures. Health Aff (Millwood). 2016;35(3):401-406. doi:10.1377/hlthaff.2015.1258. 2. Sinsky C, Colligan L, Li L, et al. Allocation of Physician Time in Ambulatory Practice: A Time and Motion Study in 4 Specialties. Ann Intern Med. 2016;165(11):753. doi:10.7326/M16-0961.